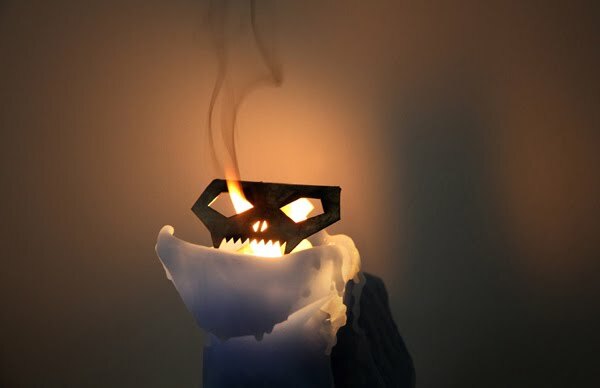 Designer Thorunn Arnadottir has created this deceptively cute cat candle, ominously named, "The Devil's Pet." What's so sinister about it? The waxy pink figure melts down to reveal a creepy silver skeleton underneath. The ball of yarn is the candle wick itself, so it will end up as a devilish looking scorned cat skeleton with the ball of yarn on fire at its side. The candle brings to light (literally) the contrasting and rich typologies attached to an every day object such as a candle and how we seem to have lost sight of its original function and meaning. OMC !!! That's creepy !!! Too creepy for me...and I like creepy! 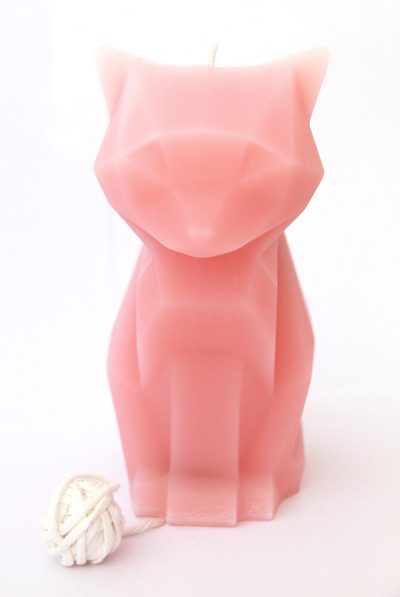 It is a bit creepy to some, but I do happen to like this kitty candle. It is perfect for Halloween.